In an effort to produce more regular content on my blog between reviews, I’ve decided I’m going to participate in WWW Wednesday! For those of you who might not be aware, this is a weekly book blogging meme hosted by Taking on a World of Words. The purpose of this post is just to update those who follow the blog as to what I’m currently in the midst of reading, and have also just finished. I’m also hoping that it helps provide me a necessary boost of motivation in the middle of the week to power on through to the weekend! Without further ado, lets dive in! At the moment, I’m reading The Queens of Innis Lear by Tessa Gratton. This is a high fantasy retelling of Shakespeare’s King Lear. I’m about 85% through it now, with hopes to finish it up tomorrow. This will be a really interesting one to review, and one I am very glad I stuck with to see it through! The last book I finished was Circe by Madeline Miller, and The Terror by Dan Simmons! So far this year I’ve tackled some pretty hefty tomes. I’m actually sort of proud! 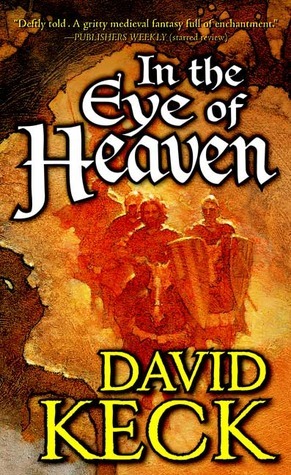 In the Eye of Heaven by David Keck is an epic fantasy published by Tor that I requested off Netgalley before I realized the book has a 3% rating on goodreads. I’m hoping it’s just really high fantasy that people are rating unfairly. I’m going to stay positive and dive into this next! 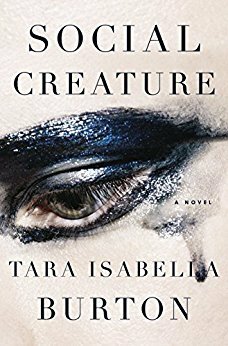 After that I’ve just been approved for Social Creature by Tara Isabella Burton. This book has been all over my feed in recent weeks. I’m really eager to jump into it! What are you reading this week? Anything good on your docket for planned reads? Let me know below! The Black House by Peter May. Celtic-bent suspense in the Hebrides. Interesting read so far (Act I). That sounds really interesting David! Hope you end up liking it! Nice! I haven’t read any of the ones you mentioned here. Right now, I’m reading a NetGalley ARC, too, called Murder on the Flying Scotsman. It’s quite like Agatha Christie but idk if the murder plot will live up to her works yet. Do you ever feel like you’ve ‘over-read’ what with all the ARCs and your own purchases? I hope your netgalley read does live up to the murder mystery goddess Ms. Agatha Christie’s name. Wouldn’t that be great? I definitely experience buyer’s remorse about some of the arcs I request from netgalley… I just get to clicking and usually end up requesting way more than I should! Hahahaha, I did the same, requested quite a bunch, partly cuz of FOMO and partly cuz I didn’t think I’d get many approved! Have you read any of the novels in the Hogarth Shakespeare collection. The publisher has tasked well-known authors with reimagining Shakespeare’s classics. They are worth checking out if you enjoy Gratton’s book. I have not, but that sounds super cool! Thanks for alerting me. I’ll have to keep my eye out for them. I’d recommend starting with Hag-seed by Margret Atwood. It is her take on Tempest! Nice!! I’ll be on the look out for it :). Glad to hear it, Jolie! Pingback: April 2018 | Wrap Up!